To avoid confusion with this literary genre, instead of saying ‘young adult cancer’, I now try to say ‘20 and 30-something cancer.’ But, even though my language has changed, my mind is still stuck in middle school bookshelf. Lately, I’ve been stressed out and thought that the perfect cure might be a young adult literary throwback to high school characters shedding their naïveté and entering the real world of pain and love. Plus, if you are having chemo brain days young adult books are easy on the mind. This summer I attended a dinner party with Jonathan Greene, author of Looking For Alaska, and decided this past week to read his book. Make way J.D. 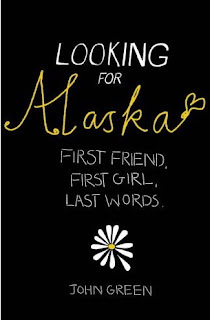 Salinger and Siddhartha; Looking for Alaska is rife with deep insights about friendship, life, death, knowledge, and love that seem both corny and profound all at once – much like high school itself. The story is set in a boarding school in rural Alabama and follows the life of Miles, a certifiable geek who falls in love with a charming, wackjob, hottie named Alaska. The plot is griping, the writing gorgeous, and I’m not going to say much more because you need to read this book and be as glued to every page turn as I was. Do you use the term ‘young adult cancer’ and if so, do people know what you are talking about? What was your favorite middle school book?